Summer may be the best time of the year to grill, but for many of us, it's usually the best season for eating. We let someone else figure out the right temperature of the charcoals and taste-test a marinade until it has just the right consistency, as if the process is a math problem with one too many equations. And when it comes to standing over hot grates—forget it. We applaud whoever is brave enough to do something like that. If you've spent summer after summer thinking that you have to be a master behind the grill in order to cook with it, think again. A grill is just a kitchen appliance with a better view, and by learning a few pointers, you can be a confident host who knows how to serve an entire menu on it. We asked chefs in Los Angeles and New York City to provide a step-by-step guide to grilling, from shopping and seasoning to steak and seafood. Using their advice, you'll have a "kiss the chef" apron on by Labor Day. 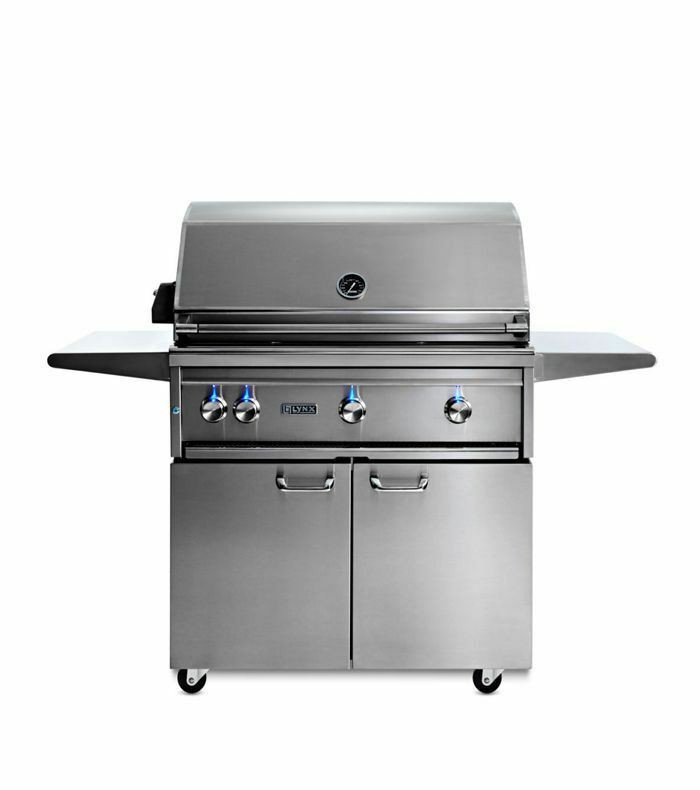 "When purchasing a grill, there are a few key things you want to keep in mind," Andres says. Temperature range: "A perfect grill gives you versatility in temperature," he says. "You want to be able to slowly grill chicken so you don't dry it out, and you'll want to have intense heat to char a thick rib-eye steak while keeping it nice and juicy inside. 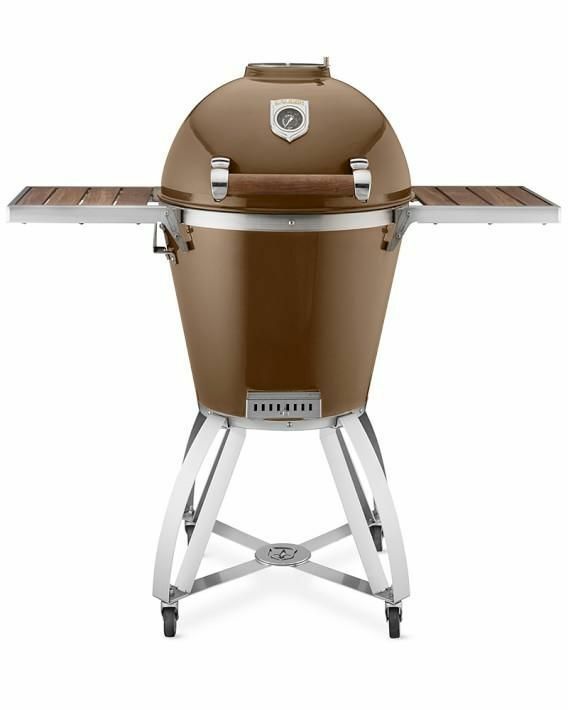 The ideal grill will give you temperatures from around 300 degrees to over 800 degrees." Safety: "A gas leak can be a big problem," Andres says. "You need to make sure you get a grill that is well built with premium materials. For instance, Lynx Grills has developed FlameTrak technology, which monitors and controls the flow of propane gas. If your burners go out due to strong winds, FlameTrak will automatically try to reignite the burner and shut off the gas flow in case of a problem." Heat distribution: "Hot spots and cold spots should be controlled, not searched for. Burners should distribute heat evenly, and thanks to the control you can have over them with a gas grill, you can have one super-hot, one medium, and the other on low," he says. Grates: "Grates that are too thin will lose temperature quickly, have poor heat retention, and won't provide big enough grill marks," Andres continues. "These marks give a delicious char to the food, which is essential in grilling. 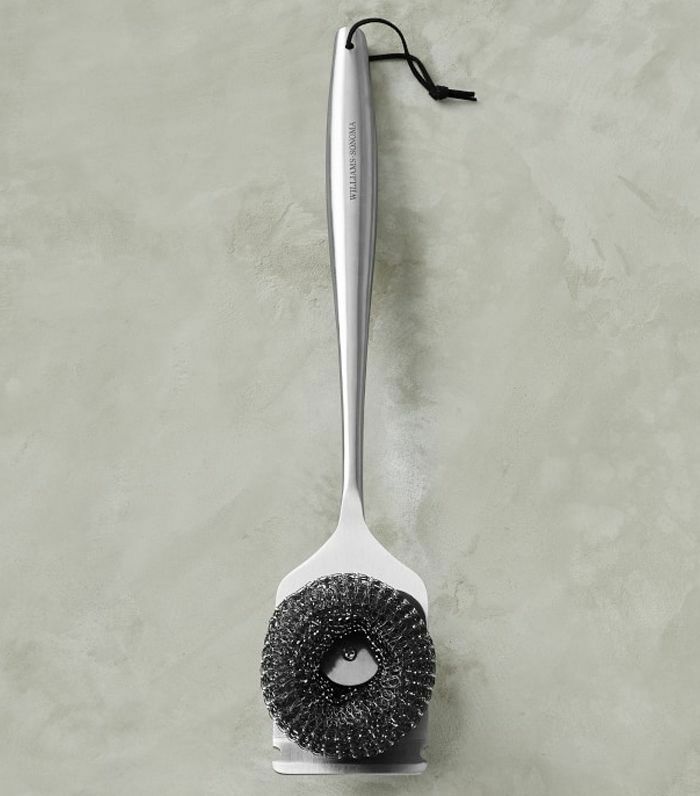 You'll want to have grates that are around half-inch thick." "While a charcoal grill provides you with a sense of rustic cooking, it certainly does not provide the convenience, versatility, and control of a gas grill," Andres says. "It is a general misconception that gas grills won't provide that delicious smokiness to the food and that it'll impart a propane aroma instead," he continues. "This is simply not true, at least not when you have a great gas grill with powerful burners." "For Lynx Grills, it literally takes three seconds to turn it on, and eight minutes to have the burners over 800 degrees," he says. "With a charcoal grill, you're lucky if you're able to start cooking within the first 30 minutes." 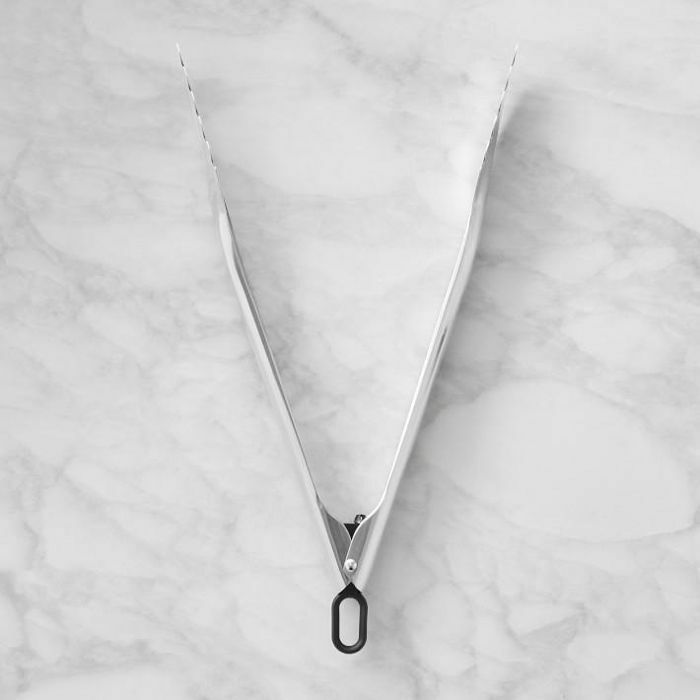 Tongs: "Simple, stainless-steel tongs," he says. "Some people like to use ones with the silicone tips and handles so they don't burn their hands or damage the meat. But eventually, those get burnt and melt or they don't grip the meat as well as stainless-steel ones do." 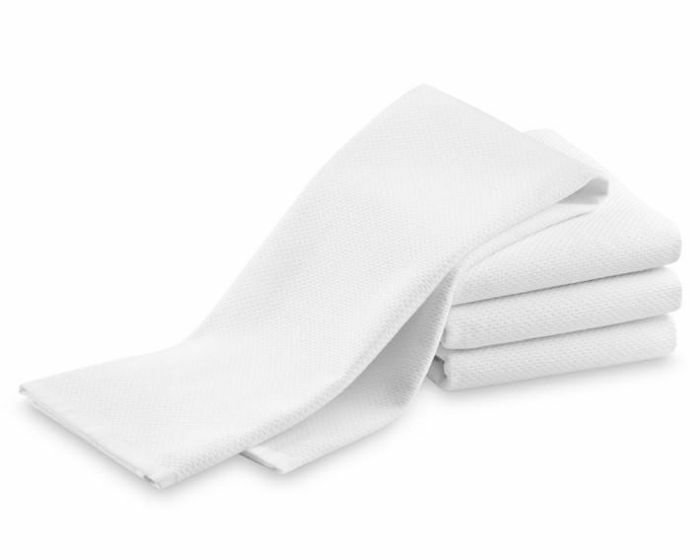 Towels: "Good bar or dish towels will go a long way in helping your grilling experience," Jonathan says. "Use them for wiping down and oiling your grill, or wiping your hands, or just grabbing something hot. Decent towels are essential." A thermometer: "It's not absolutely necessary, but it does help," he continues. "Digital thermometers are way better because they give a more accurate reading, and you never have to calibrate them. They come in handy when you have multiple cuts of steaks going on and you want to get them just right. 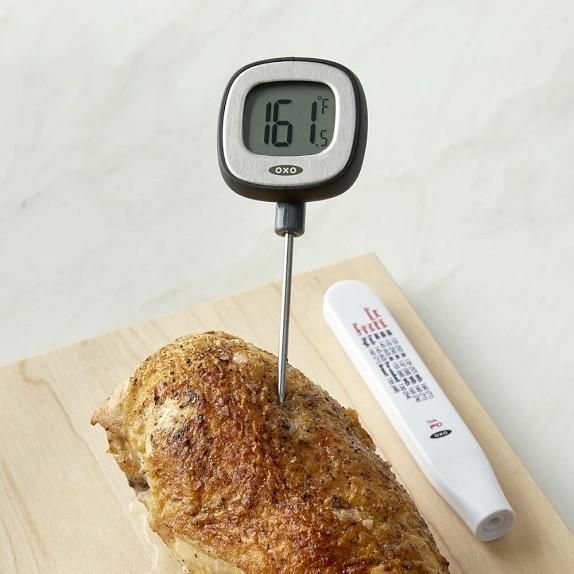 Also, grilling chicken can be quite tricky at times, so if you're ever unsure, thermometers help." "Don't use lighter fluid, and if you are using charcoal, don't use briquettes," Katy says. "Instead, use real wood charcoal." "Do make sure to brush your grill grates with oil if you are cooking things that are more delicate, like fish or vegetables," she says. "To make it even easier, coat whatever you are about to grill in some type of fat before you place it on the hot grill." "Don't be afraid to use your pans directly on the grill," Katy says. 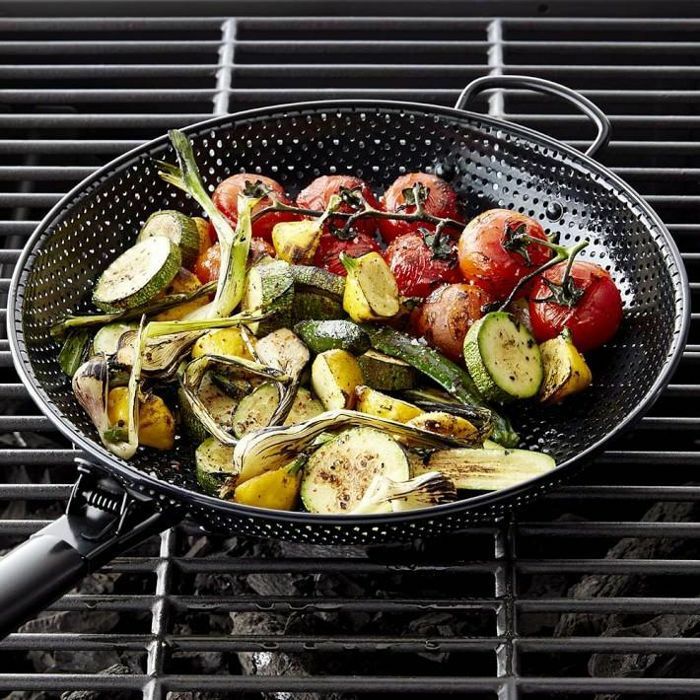 "Use a grill basket, a sauté pan, or heavy-duty foil to cook delicate items on so that they don't stick to the grill." "Do clean your grill after each use so that it's ready for you the next time you want to cook," Katy says. "This is pretty easily done if you keep your grill going with the lid closed for about 20 minutes after you've finished using it. 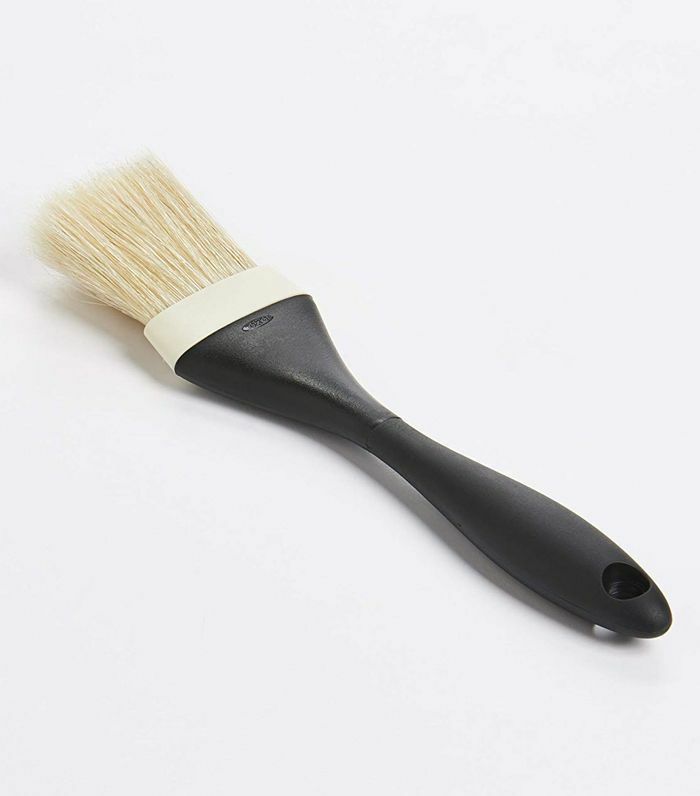 Then, brush it with a grill brush while it is still hot." "Don't be afraid to go slow and low!" she says. "A grill is not limited to searing meat. You can heat only half of your grill, place a tough cut of meat like pork shoulder in a pan on the cold side of the grill, and cook it for hours at a low temperature. You get the amazing pull-apart texture and all of the smoky flavor that only the grill imparts." "Do make sure you get your grill hot," she says. "No grilling on lukewarm grill grates!" Don't try to flip your protein or move it before it is ready," Katy notes. "Listen to your protein. Once it is ready, it will pull off of the grill grates easily." "No matter what kind of meat you're grilling—burgers, steaks, or ribs— I'm a firm believer in getting the best quality meat and doing very little to manipulate it," he says. "Sprinkle the salt and pepper over the meat and let it sit," Travis continues. "The thicker the meat is, the longer it should stand with the seasoning. This allows the salt permeation process to come full circle, drawing the liquid out of the meat and letting it absorb back in, which is essentially seasoning the meat internally." "Avoid using rubs with a lot of sugar, which will burn during the cooking process," he says. "And don't season too closely to the meat—this will create dense pockets of spices. It's best to season from a higher distance so the salt and pepper spreads more evenly." "The secret to good marinade is balance," David says. It's about flavor—so salty, sweet, spicy, or umami. It's about consistency, so loose like water or thick like a purée. And it's about texture: fine, with no chunks of vegetables or fruits, grainy with some chunks, or chunky. For instance, the galbi sauce we use in Cote has the consistency of water to give the meat a very clean finish. It really depends on what you are marinating, but I tend to keep most of my marinades loose and fine, if that makes sense." "One thing that I always keep in mind about marinades when cooking is the sugar level," he says. "There's lots of sugar in vegetables and fruits that we often neglect, which can burn the marinade before the cooking is done. So in order to cook without burning, be aware of the cut. Some cuts are thin, so reduce cooking time so that the protein cooks before the marinade burns. If it is a bigger piece, cook slower and blast toward the end to caramelize the sugar." "First and foremost, it can't be wet, so you need to dry it with a paper towel if it has any wetness," Adam says. Then, season it with salt and pepper, pretty aggressively, based on the thickness. The thicker it is, the more salt and pepper it needs. Any other spices will burn if you're using a direct grill, so put any other spices on during the last two to three minutes." "Be sure to place steak on a clean, well-oiled grill—you should swab the grill rods with oil, and then wipe it with a dry towel to remove any excess oil," he says. "Then, put a very thin coat of oil on the steak. I prefer to use natural animal oil, so if it's steak, I like to render out some of the beef fat, and I use that to spread on the salt and pepper lightly. But, you can also use vegetable oil, canola oil, olive oil, even coconut oil, you just want to create a barrier." "Finally, place the steak on the grill and do not move it for one to two minutes (if it's a thinner steak, then you'd have to move faster). Turn it to see if it comes off easily, and flip it then. Go two minutes on that side. Next, use whole butter on top to make it golden brown and delicious," Adam says. "Personally, I love to butterfly a whole chicken for grilling!" he says. "Simply cut down either side of the back bone and press the chicken flat. Then marinate overnight in olive oil, rosemary, chopped garlic, salt, and pepper." "To grill, start on the skin side and grill to a golden brown," Louis continues. "Then, flip the chicken to finish on the other side. I like to leave all the bones in to protect the meat while grilling, as it will take 20 to 30 minutes on a low heat to finish. You can easily remove the rib and wishbone before serving." "It's always good to season your vegetables with salt and pepper, and that's it," Louis continues. "Be cautious not to use too much oil on the grill, to avoid flare-ups, otherwise you'll spoil the subtle flavor of the vegetable." "Generally, I like to cook fish as slowly as possible on the grill in order to maximize flavor," he says. "Salmon can cook for several minutes on the skin side. This allows the skin to take on color and texture," Michael continues. "It's best served medium rare, so once you have color and texture on the skin, you can flip it over briefly just to set the flesh." "Next, I recommend that you rest the fish for several minutes above the grill, or in a warm spot, to allow the heat to penetrate and warm the fish through," he says. "This is the best way to ensure that the fish is warm on the inside yet still medium-rare." "When grilling shrimp, my most important tip is to choose the largest shrimp you can find," he says. "I recommend six-to-eight count, but anything under 16-count works well." "To prep the shrimp, first peel and devein—you can leave the shell on, but if you want a really good caramelization on the shrimp, remove the shells," he says. "The next step is to butterfly the shrimp to devein and prep for grilling. Be sure not to over-butterfly the shrimp, as it dries them out significantly." "Shrimp is a versatile seafood with endless marinade combinations!" he continues. "Some of my favorites are a Mediterranean/Italian marinade (olive oil, garlic, fresh basil, oregano, lemon, salt, and pepper), or a Cajun-style with Louisiana hot sauce, garlic, lemon. When creating your marinade, you want to make sure it's wet enough that it'll stick to the shrimp. Combine the ingredients in a food processor to blend, and then let the shrimp marinate for at least 30 minutes, or up to a couple of hours." "Next, set aside some of the marinade to add after grilling," Aaron says. "Combine the remaining marinade in a pan with butter or olive oil and simmer until butter is melted and a glistening sauce is created." "When you're ready to cook the shrimp, make sure your grill is hot—this is vital, and it's what gives the shrimp the perfect caramelization," he says. "Shrimp only need a minute or two on each side. You can tell by the color change if your shrimp are cooked through. Another tip is to not move the shrimp around a lot while grilling but to let them sit on each side without disruption. If the shrimp shrink in size, they are overcooked. If you're cooking for a large group, skewer the shrimp to avoid overcooking." "After you take the shrimp off the grill, toss with the reserve marinade to add moisture and flavor," he says. "When grilling lobster, I begin by splitting the body lengthwise with a sharp knife and removing the unwanted organs," Kerry says. "Season it with kosher salt, ground black pepper, and roughly chopped tarragon and place on a preheated, very hot grill flesh-side down to start." "Cook for about 10 minutes, finishing with the shell-side down until the meat is opaque and no longer translucent," he continues. "After it has had time to rest, brush the lobster with a melted butter seasoned with minced garlic, dried chili, lemon zest, and tarragon before serving."